Gabfire Themes is a professional web development firm with a knack for creating exceptional WordPress themes. They use their knowledge of the industry to create themes for the niches that need it most. Every theme that Gabfire Themes produces is rich in color, beautiful, and highly functional – not to mention compatible with every major internet browser. Gabfire also has a great dedicated support forum to help you through any issues, as well as detailed video tutorials for beginners. 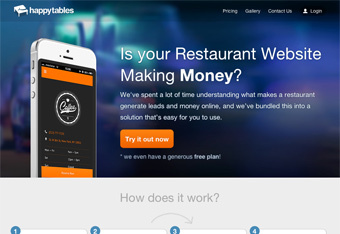 Happytables is a WordPress restaurant theme developer that is truly committed to helping their clients succeed. Using a highly skilled design and development team, they produce some truly beautiful and highly functional themes. On top of that, they use their years of industry experience to stay ahead of the curve, really going above and beyond the call of duty to help their clients. Happytables is more than just a theme developer – they are a full solution for restaurant owners wanting to establish or improve their web presence. 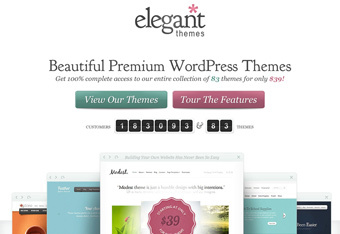 HotThemes offers a wide range of quality, beautiful WordPress themes and Joomla templates. 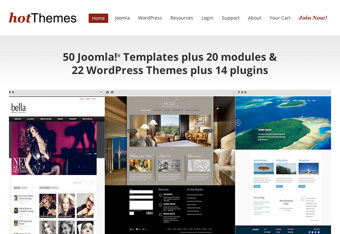 All of these themes are attractive, functional and very easy to use thanks to the great HotStart installer that lets you create a fully professional website in no time. The themes are customizable and you will be able to create a 100% unique, eye catching website that looks just the way you want it to thanks to the flexible layouts offered along with unlimited color styles you can choose from.